Revolutionary Democratic Front (EPRDF) led by Tigrayan People’s Liberation Front (TPLF) have stolen democracy, money, votes, and liberty from Oromo people as they did many times in the previous elections and they have done in 2015 election. As the chairman of the Oromo Federalist Congress, Dr. Merera Gudina, said, this “was not an election, it was an organized armed robbery”. I also asked myself many times; Why TPLF leaders while they know 100% that there is no free and fair election, spend huge amount of money to hold fake and sham election?, why not they give that money to the people who look for food at a garbage dump for daily life? Or their evil behavior does not even allow this. The Oromo people have been the most affected people by TPLF election results because they refused to accept the fake election results, and Oromo mothers have lost many brave and clever children. The Oromo youth refuse to accept the election result not without reason, because everything in connection with electoral process before, during and after voting day has been accompanied by fraudulent, cheating and violence. Oromo people are thoroughly tired of getting stolen their democracy, their money, their natural resources, their choices and their liberty by a felony government like EPRDF and its satellite party, OPDO. Dictator regime EPRDF has clearly and openly lied again for the fifth time as if they carried out a free and fair election in Ethiopia on 24th May 2015 but everything that happened in relation to 2015 Ethiopian election is opposite to what the EPRDF trying to claim. This is not something new; it has been carried out many times before in order to use it as means to beg money from western countries. The money they usually use to crack down supporters and members of opposition parties in the country and to suppress its citizens. The ruling party lied again as if they won the election in a democratic process while the fact is that they snatched people’s vote by bullets. Harassment of opposition observers, members and supporters before, during and after the elections is evidence that election was accompanied with violence. Before, during and after election human rights activists, journalists, opposition members and supporters have been prosecuted. They have been subjected to raid and been deprived of their properties and eventually arrested and imprisoned and even some of them were killed based on false accusations. They have been harassed, intimidated, imprisoned and killed for legally exercising freedom of speech and demand for free and fair election. Anti terrorism laws makes this easy. The authorities have used a variety of methods to intimidate activists and silence critics of fictional criminal charges to repressive laws and bureaucratic rules for opposition members and supporters. 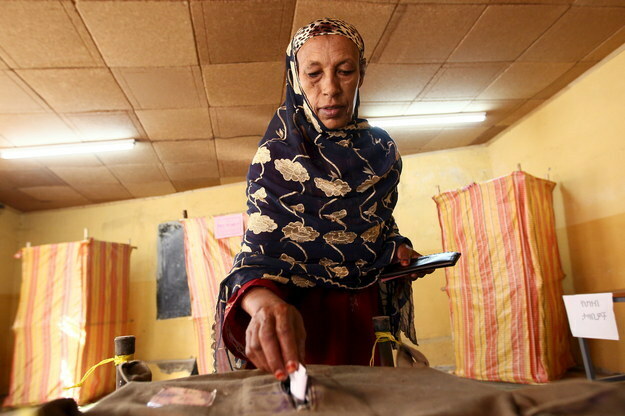 Prosecuting opposition election observers, members and activists reinforces the impression that the government is prepared to ignore human rights and oppositions demand for free and fair elections to achieve their goals. The EPRDF government severely curtailed Oromo activists for freedom and freedom of expression and the harassment and threats directed at civil society stands as a grotesque contrast with the government’s claims that there is democracy in Ethiopia. The Ethiopian government led by minority group TPLF has been using coercive means and manipulation of the election results to stay in power. We don’t expect also a constructive dialog with United States as America continued supporting a dictator regime of Ethiopia as far as the Ethiopian regime follow the interest of America. The comment that has been given by Wendy Sherman is a proof that America doesn’t care about the killings of Oromo University students by TPLF security forces and the sufferings of Oromo farmers who have been evicted from their indigenous land by EPRDF regime. TPLF says Ethiopian economy grow faster than other countries in Africa. If the development that has been claimed by TPLF is sustainable and the commentary which was given about Ethiopian development by Wendy Sherman is true why BBC recently reported, by Lerato Mbele about the economic status of Ethiopia put in this way on 16 April 2015 “They show an economy growing in near double-digits, but about 40% live below the poverty line”. We recently also saw citizens of Ethiopia struggling to get food to survive from a garbage dump, here is the picture from the scene. TPLF has also continued killing and dismissal of Oromo university students from university as revenge after Oromo students refused to vote for TPLF candidates in fake and sham election in Ethiopia. At this critical time, Obama’s decision to visit dictator and corrupted regime in Ethiopia which is the enemy of democracy, freedom of expression, human rights and free and fair election is none other than there is now a serious question mark over the credibility of American democracy, human rights and human values promotion. Obama’s visit to Ethiopia is also like it is legitimizing the corrupt government of Ethiopia which was supposed to be isolated the leaders and were supposed to stand before ICC since they are war criminals. EU Member of parliament Ana Gomes also concluded the Ethiopian election in this way:”Ethiopian election cannot be free and fair under current regime”. I would say also that Ethiopia won’t develop and be stable as long as the repressive TPLF regime is in power and America continues to support them. Therefore, now time has come to support Oromo national movement morally, financially and diplomatically and to put a concerted and united front with all oppressed people to send back this evil group of TPLF to where they came from before it is too late as TPLF and their partner have continued intimidating, arresting and killing unarmed Oromo people who refused to elect them. This left Oromo people only with one choice, supporting and fighting together with OLF against the EPRDF regime. In fact TPLF leaders have clearly told us repeatedly that there is no peaceful transformation of power, and this could happen only as they said; we came to power with a gun and we will give away power by gun. So the only way that TPLF can be defeated is by armed struggle.